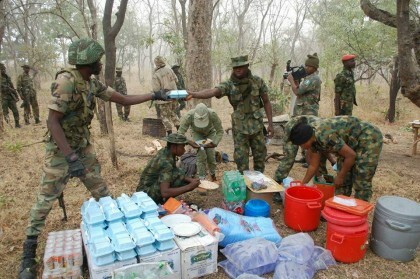 SK Usman, Abuja: Troops of 3 Brigade deployed in Falgore forest (Game Reserve) in Kano State as part of OPERATION Sharandaji going on in the north-west part of the country could not conceal their feelings of joy on the arrival of the commander 3 Brigade, Brig Gen SO Olabanji who came to celebrate Christmas with them in the heart of the forest. 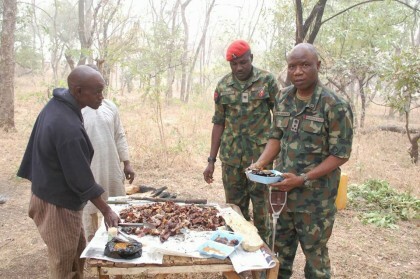 The commander’s visit was not new to the troops as he occasionally visited them, only that this time he came to eat, chat and celebrate Christmas with them which triggered their jubilation. 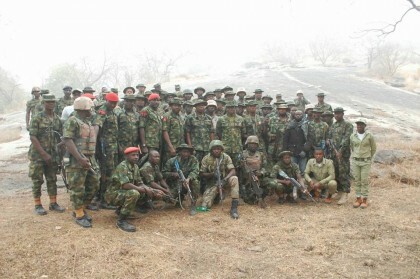 The commander extolled the troops’ high discipline in their conducts as no negative report had been reported against them. He at the same time assured them of their welfare while discharging their official duty, this he said is his utmost priority. 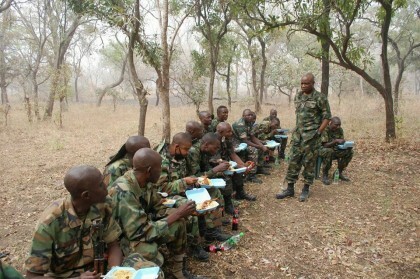 The Commander also used the opportunity of the celebration with troops, to conduct a final inspection of various natural features the forest is endowed with that prompted the recent Nigerian Army proposal to make it a Training Area. 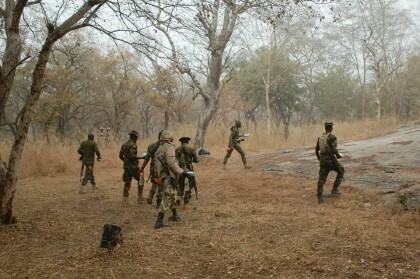 The vast Falgore forest hitherto is generally viewed as a safe haven for kidnappers, cattle rustlers and armed bandits and several operations have been organized to clear it of the unwanted elements.